Business to business direct mail ideas ought to be attention-grabbing and noticeable and a perfect solution is the cell phone desktop cradle from our pop up mailers range. 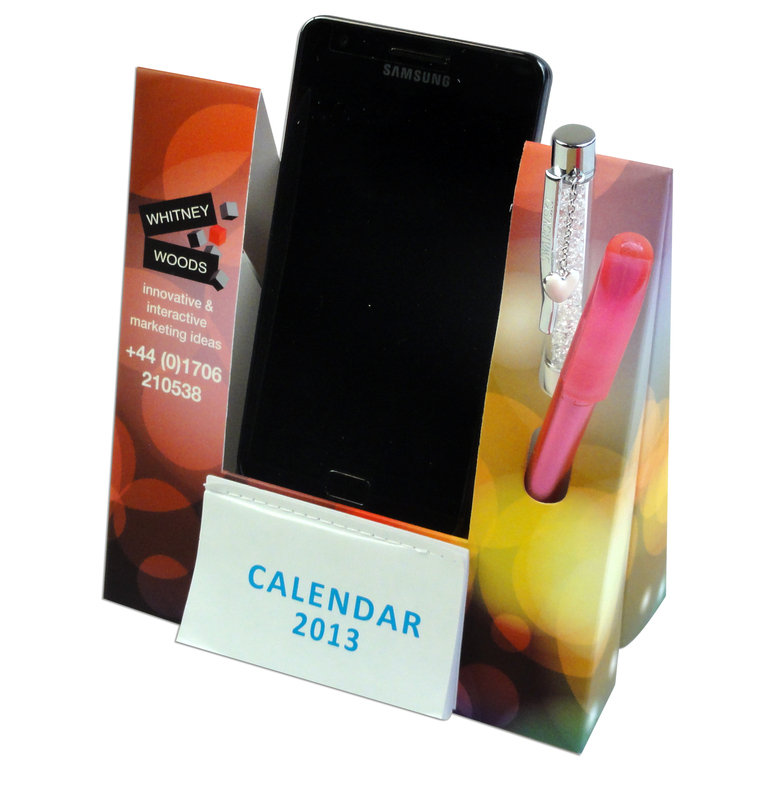 By adding such a unique and useful desk top promotional product to your marketing strategy this phone cradle pop up mailer will really boost the prospects of your promotion. 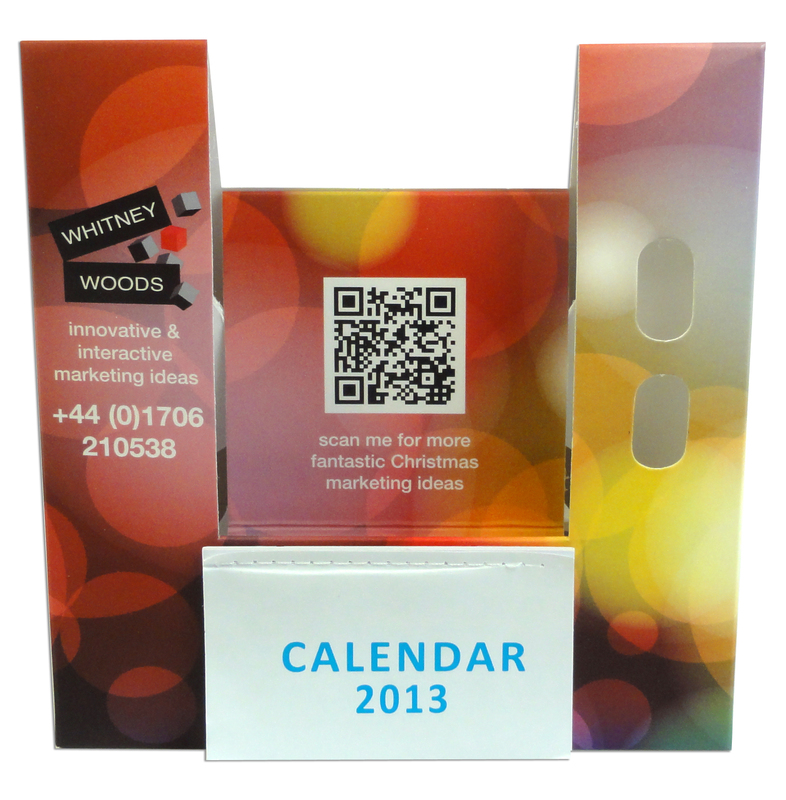 Your customised cell phone cradle for desk top promotions is a 3-in-1 business direct mail product. Along with the phone holder this useful desk top promotional product also has two pen holes plus the option of a calendar with it too. The cradle cell phone holder is useful desktop promotion that your customer will want to keep and use on a daily basis. The Cradle Cell Phone Holder from Pop Up Mailers not only offer three useful desk top promotion products in one, they also make great business to business direct mail. Due to the rubber band powered mechanism the mobile phone cradle pop up mailer jumps into 3D form as soon as it is released from your promotional mailing wrap to become a handy desk top promotion for your business. This action will surprise your customer and so the pop up desk phone cradle also creates a talking point with co-workers, spreading your promotional message even further. Pop up mailers such as the pop up desk top pen holder/calendar/phone cradle really attract attention and keep mailing costs to a minimum as the items can be compressed flat for mailing. Desk-top promotional items are always popular marketing ideas since they serve as a constant reminder of your company. The cell phone desktop cradle is an up to date and dynamic way of direct marketing and communication for businesses. 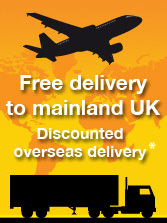 By ringing in the changes to your company's direct mail ideas, business to business promotions with the pop up mobile phone cradle means you can make the best connection with your customers. The pop up mailers cell phone cradle for desk top promotions is a business direct marketing product that has all the elements of a fun and efficient campaign. The promotional printed cell phone desktop cradle has lots of room to carry your corporate marketing message. The pop up action of these business communication products creates interaction with your customers making your message even more memorable.